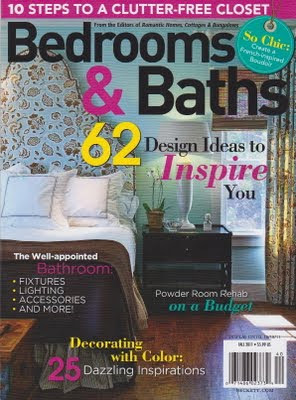 I am so excited to share that my dining room has been featured in the Kitchens Magazine, Fall 2011 issue. Thank you, to the editors of Kitchens Magazine for the flattering feature. If you missed the other posts, you can view them here and here. 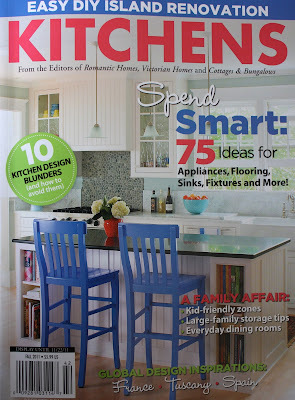 Kitchens Magazine Fall 2011 issue can be found at Target, Walmart, Kmart, Kroger, The Home Depot and more. Kitchens Magazine is a special publication from the editiors of Romantic Homes, Victorian Homes and Cottages and Bungalows Magazine. It also happens to be one of my favorite reads! This beautiful publication is full of inspiration, design tips and shopping guides. For information on my affordable design services, Please Click Here. Congrats to YOU!!!! I will be sure to check it out!!! What is your wall color in the dining room? Thinking about changing my kitchen color. I am so proud of you!! Now I told you before, when you get all famous, and I am telling everyone "I know her", don't forget me! :) LOL, seriously though you definitely deserve the recognition, your home is beautiful!!! SHUT UP!!! That is SO exciting!! I'm totally going to get it!